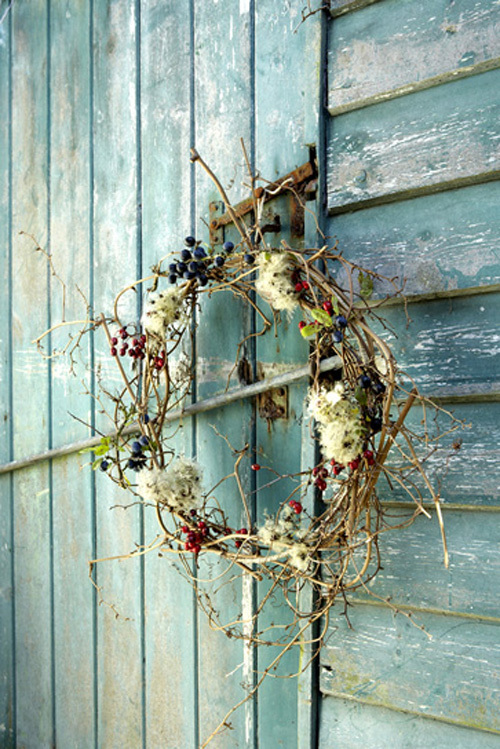 I love this wreath, found on the website of Rachel Whiting and am inspired to try to make something similar. I've been quietly squirreling decorating ideas and small purchases away for the holidays. But I'm still not ready to think about it head-on. You?